Children have a way of growing up fast, and the new kid on the app-store block certainly hasn’t bucked that trend. 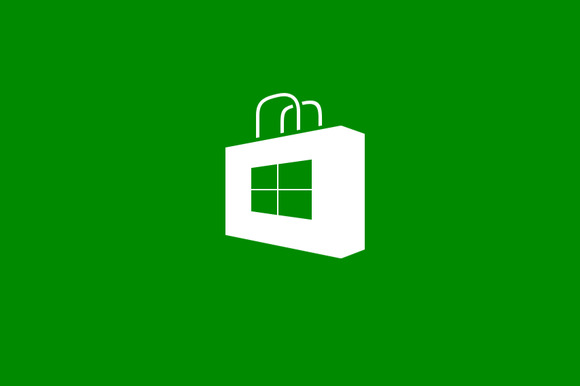 Late on Tuesday, Microsoft announced that the Windows Store has crossed the 100,000 app threshold, mere days after the company’s big Build conference and a scant eight months after the launch of Windows 8. Sure, the store didn’t hit that mark in the three months that one ambitious Microsoft executive predicted, but the Windows Store did reach 100k apps faster than both Google Play and iOS’s App Store (albeit long after those markets established a consumer thirst for apps). And, after a somewhat sluggish start and an extreme slow down shortly after the holidays, it’s no small accomplishment for the Windows Store to hit 100,000 apps so soon after its conception. The Windows Store isn’t complete despite hitting the lofty number. There’s still a general dearth of big-name apps, and both the quality and the quantity of specific slices of the store can be … questionable, as I covered in-depth earlier this year. Read: A lot of those apps are pretty spammy, or rip-offs playing off the name of more established software and services. Things have gotten better since then, however. From video to music to games and business, most people will be able to find enough apps to scratch their mobile itch—and many, many more apps have been released since those round-ups were written. There is still work to do, but the bones are there. Desktop aficionados will even find modern-style conversions of old favorites like WinZip and (soon) the VLC media player. 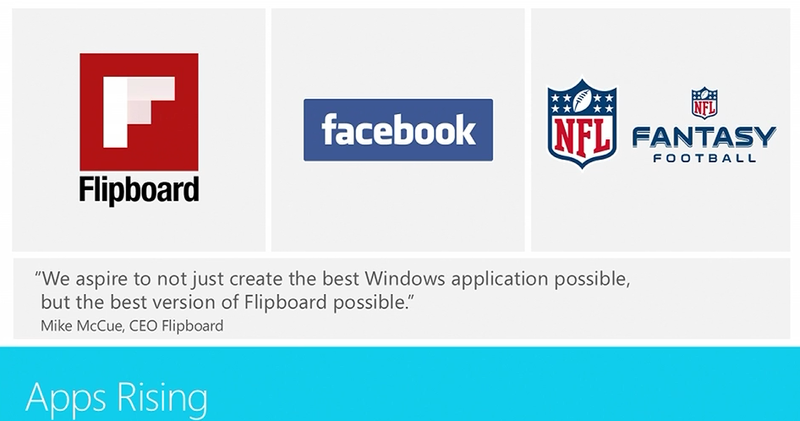 At Build 2013, Microsoft announced several big-name apps destined for the Windows Store. Yes, the Windows Store has 100,000 apps, and it’s a major milestone—but numbers alone do not an app store make. Quantity is nice, but quality is the true differentiator. And Microsoft finally seems to be putting the pedal to the quality metal. The company has long been wooing developers to the Windows Store, and the number of new apps spiked in the days before Build. 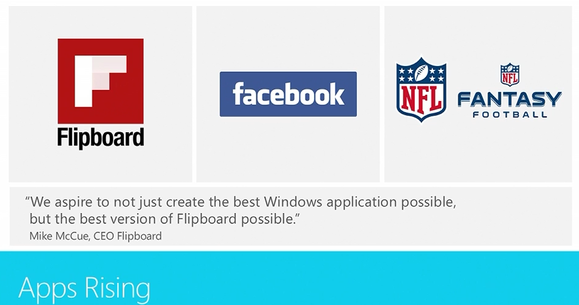 And it’s not just small fish swimming down the Windows 8 river; premier offerings like Facebook, Flipboard, Foursquare, and more are going to land on Windows 8 in the coming months, while stars like Twitter and MLB.tv have already landed. Even better, those apps will have some fancy new digs to call home. The Windows 8.1 update includes a bevy of new apps, including a completely revamped Windows Store with a whole new look, personalized recommendations, a UI that minimizes needless scrolling, and—finally—short text descriptions below each app in the menu screens. You’d think that hitting 100,000 apps would be the perfect time to pause, take a breath, and reflect on what you’ve done. For Microsoft, all the hard work is just starting to hint at a payoff now that this milestone has been reached. This is no time to let up steam: Windows 8 and the modern UI lives or dies by the Windows Store. At 100,000 apps strong, Microsoft is just starting to build momentum, and it must be maintained. If Microsoft continues along the trajectory it’s on, in time, the Windows Store could become a source of strength rather than a source of contention.